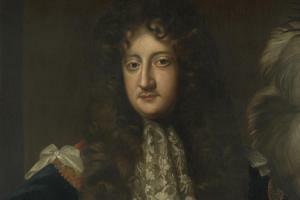 Second son of the historian and statesman the first earl of Clarendon, the exceptionally able Laurence Hyde was a key ally of his brother-in-law, and future king, James, duke of York, during the reign of Charles II. Like his father, a determined supporter of the Church of England, he could not support James’s plans for a Catholic revival. After the 1689 revolution, he became one of the leading lights of the Tory party. I shall endeavour to show myself not so much a son of the Earl of Clarendon as a Member of this House, and I assure you that, if he shall be found guilty, no man shall appear more against him than I; if not, I hope everyone will be for him as much as I. Let every man upon his conscience think what of this charge is true, for I believe that, if one article be proved, he will own himself guilty of all. If the bills to be prepared by the Parliament might pass into law, the chief objection that was insisted on would cease. Now (he said) we had more than ordinary assurance that they would pass without any obstruction, as was feared, and therefore desired them they would stay. That there was great discourse of French counsels, but ’twas apparent that now the Duke had no such inclinations and ’twas a great misfortune no notice should be taken of any such thing by the House when there was some colour for such an objection, and that it should be now when there is none. I am sorry to see a matter of so great importance managed in this House with so much bitterness on one hand and with so much jesting and mirth on the other. ... It is to me very unpleasant to hear a prince, that hath so well deserved of this nation by fighting our battles and so often appearing for us in war, so upbraided. ... 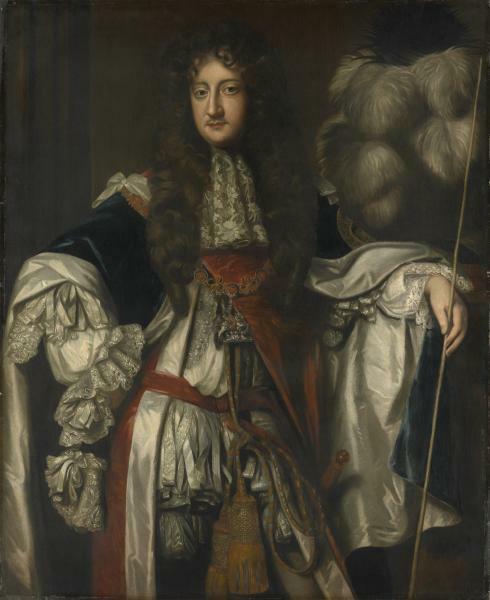 I believe the Duke is convinced that it cannot be reasonable from him to expect to come to the crown upon such terms as if he had not given those apprehensions and jealousies. ... Does any man think that this bill will pass the Lords, and the King too? ... I cannot apprehend that our case is so desperate but that we may secure ourselves some other way without overturning foundations. 1. Clarendon Corresp. i. 625; Cal. Cl. SP, v. 492. 2. R. East, Portsmouth Recs. 357; Hoare, Wilts. Salisbury 712; CSP Dom. 1683-4, p. 23. 3. CSP Dom. 1661-2, p. 367; 1685, p. 299; 1686-7, pp. 202, 358; 1687-9, p. 220; Cal. Treas. Bks. ix. 279; information from E. K. Newman and S. P. Anderson. 4. Burnet, i. 463; CSP Dom. 1660-1, p. 275; Cal. Cl. SP, v. 305; CJ, viii. 550, 675, 681. 5. Burnet, i. 458, 463; North, Lives, i. 302; Pepys Diary, 19 Nov. 1667; Clarendon Impeachment, 8; Grey, i. 41; Dering, 39; CJ, ix. 147. 6. Survey of London, xxix. 136; HMC 7th Rep. 467; Finch diary, 4 Nov. 1678; CJ, ix. 543. 7. HMC Le Fleming, 155; HMC Ormonde, n.s. iv. 310; v. 281; CSP Dom. 1679-80, pp. 279-80; North, loc. cit. ; Sidney Diary, i. 71-72; Grey, vii. 366, 401-3; viii. 6, 30, 281, 283; Exact Coll. Debates, 33-34, 90; Clarke, Jas. II, i. 604-5; HMC 12th Rep. IX, 113. 8. Burnet Supp. ed. Foxcroft, 145, 220, 224; North, op. cit. ii. 202-3; Macaulay, Hist. 976-7; Clarendon Corresp. ii. 227; Grey, ix. 383.